The beautifully crafted DKN 7ft Olympic Barbell bar is a resilient bar that is 7ft (213cm) long, weighs 20kg (44lbs) and is constructed from solid steel with a chrome finish. Barbell bars have a positive influence on your posture and are great exercise tools to build strength and endurance within the body, develop muscle definition, and aid healthy weight loss. The DKN 7ft Olympic chrome bar can be used by beginner, intermediate and advanced weight lifters and is able to support up to a maximum of 320kg (705.5lbs). The bar is compatible with Olympic weight plates, add weight plates with a hole diameter of 2” (5.1cm) onto the outer portions of the bar to increase or decrease the desired total weight. 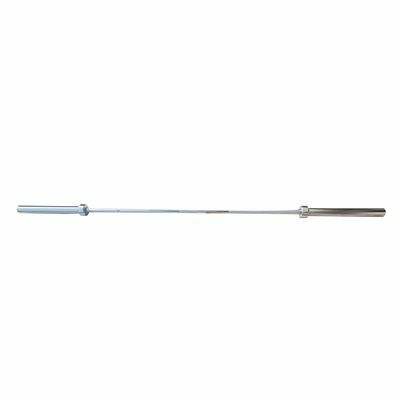 This DKN 7ft bar is suitable for most home gyms and is one of the most durable and reliable barbells in the weightlifting industry, with the triple-coat chromium finish protecting against rusting, chipping, scarring and peeling. 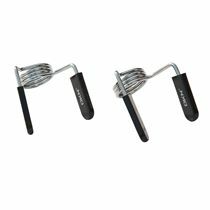 The sleeve rotates smoothly making the exercise purer whilst utilising an engraved and spaced knurled crosshatch pattern to help users maintain an improved grip. Training with this bar will provide users with more natural movement and offers far more versatility than fixed-weight machines. for submitting product information about DKN 7ft Olympic Chrome Barbell Bar We aim to answer all questions within 2-3 days. for submitting product information about DKN 7ft Olympic Chrome Barbell Bar. We aim to answer all questions within 2-3 days. If you provided your name and email address, we will email you as soon as the answer is published. Is this bar suitable for deadlifts? Yes, this bar is suitable for deadlifts. An excellent barbell!! Delivered in durable packaging within a day or two of me actually ordering it. I bought this bar to help with home training, it is extremely durable as described. It weighs almost exactly 20Kg. There are 2 knurled areas helping to find the perfect grip when deadlifting, bench-pressing and squatting etc. 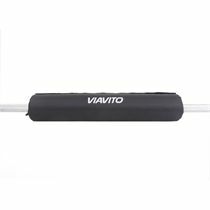 This makes an excellent training bar for home use and I would recommend it highly especially because it is competitively priced!! Barbell training is the best way to train for strength- I use them a lot at the gym and thought I would buy one for home use, I didn't expect too much from a £60 barbell but am very pleased with the quality and finish of the product and will be recommending it to friends and family. 5 stars from me! Excellent bar and service! Many thanks. for submitting product review about DKN 7ft Olympic Chrome Barbell Bar.